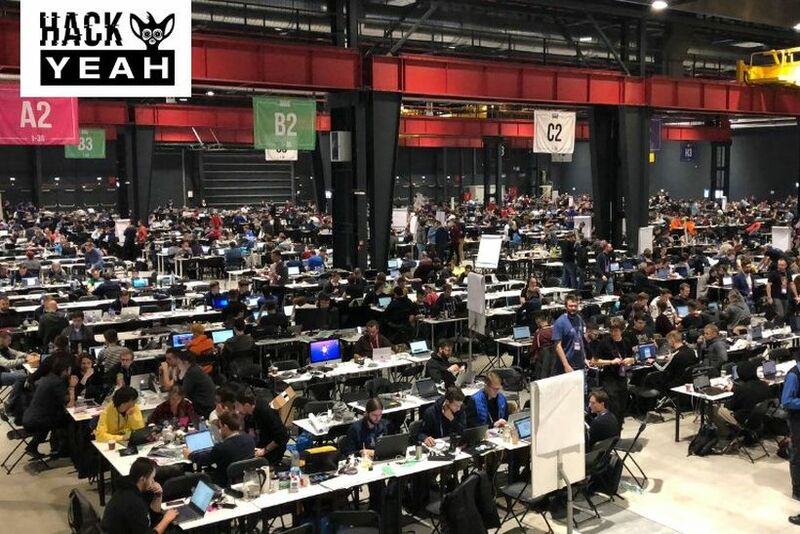 Europe’s largest hackathon took place in Warsaw this weekend: the HackYeah festival bringing together around 2500 computer programmers. Now in its second edition, the event reflects the Polish government’s interest in using innovative IT solutions to improve how the state functions, from providing public services to bolstering national defence. A hackathon is a programming competition where participants create usable software. The word comes from “hack” and “marathon”, with the former referring to programming, rather than breaking into people’s computers. At HackYeah, held at the Global Expo space in Warsaw on 24-25 November, teams of one to six people had to solve problems in three open tracks: heath, finance and investments, and education. Partners included Polish bank PKO BP, oil company PKN Orlen and Visa. “The concentration of intelligence here today, in Żerań [northern Warsaw], is the highest in Europe,” said Minister for Entrepreneurship and Technology Jadwiga Emilewicz at the event, which she linked to the GovTech programme launched by the government earlier this year to help involve innovative companies in the public administration. The event was also visited by Prime Minister Mateusz Morawiecki, who chatted to and posed for photographers with the young participants. Seventy-four teams took part in a special cybersecurity challenge organised by the Ministry of National Defence, which spanned tasks relating to network security, reverse-engineering and cryptanalysis, among other things. “You, the hackathon’s participants, are our greatest national potential,” said Tomasz Zdzikot, a secretary of state at the Ministry. “Remember that the Ministry of National Defence can offer you an attractive career path in many ways,” he added. The tasks set by the Ministry were so difficult that none of the teams managed to solve all the problems in the 24 hours allocated. The winning teams received a total of PLN 60,000 in cash prizes from the Ministry, plus additional prizes, including a parachute jump and a ride on a Rosomak armoured vehicle.